Charlotte R. Mendel's Turn Us Again chronicles the story of Gabriel Golden who upon returning to London to visit his ailing father receives a manuscript written by his deceased mother revealing deep-dark secrets of the families past. Mendel masterfully weaves the manuscript, outlining a pattern of family violence, into the father's modern day justifications for his actions. This upwelling of remembrance leaves Gabriel embittered towards his father leading him down a road of critical self-analysis in regards to his own relationship. 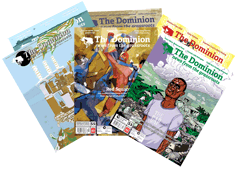 The honesty and integrity with which this story is portrayed allows Turn Us Again to stand out in the field of literary fiction. Turn Us Again reveals the dynamics at play in replicating cycles of abuse leaving the reader with a fresh understanding of family violence and how it can be tolerated and accepted for extended periods of time in order to maintain an appearance of normality. Turn Us Again is based on a true story exploring the dark inner workings of the power structure within family relations. The story leaves the reader cringing at points explaining in great detail the pain, suffering, and utter despair inflicted by spousal abuse. This story traverses from rural England, to the west coast of Canada, to Halifax as a young couple attempts to find their place in the world after World War II. 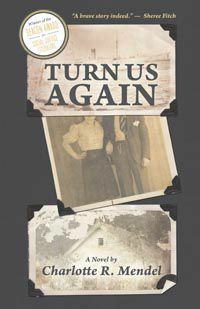 Turn Us Again is an extremely complex novel which delves into a number of themes including family violence, women yearning to re-enter the work force for economic independence, and coming to terms with one's family history. Winner of the Beacon Award for Social Justice Turn Us Again is an exquisite work of literary fiction which will inevitably force readers to question their perspective of why and how abuse is replicated and passed down from generation to generation.